The forewings of the adult moth are greyish brown, with a variable pattern. 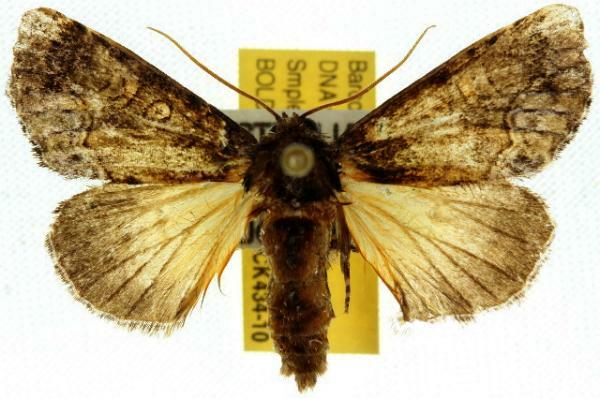 The hindwings are dark brown with pale yellowish bases. The wingspan is about 3.5 cms. Volume 7 (1908), pp. 678-679, No. 3576, and also Plate 123, fig. 15. Series 2, Volume 7 (1892), p. 254.